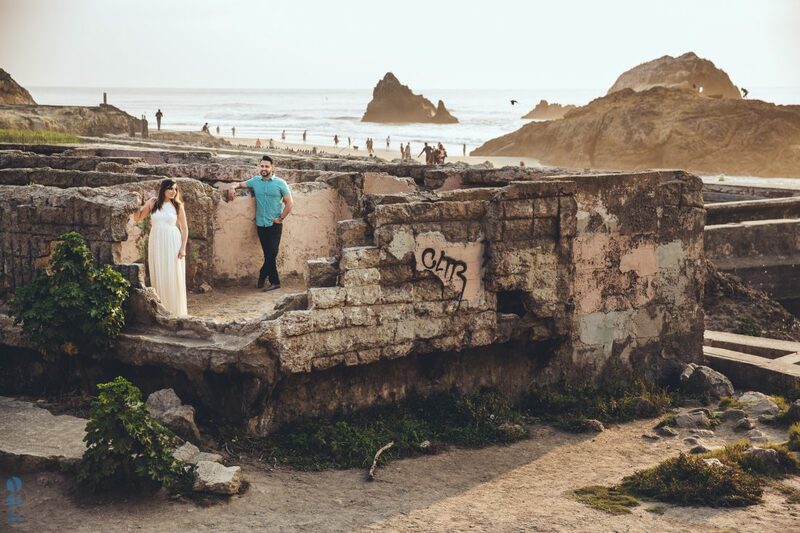 San Francisco is a city full of beautiful, exotic photography spots and every time I have an engagement session planned in this city, I get very excited. One of my favorite locations on the beaches of the Pacific Ocean is Lands End which is on the northwest part of the island by Point Lobos. 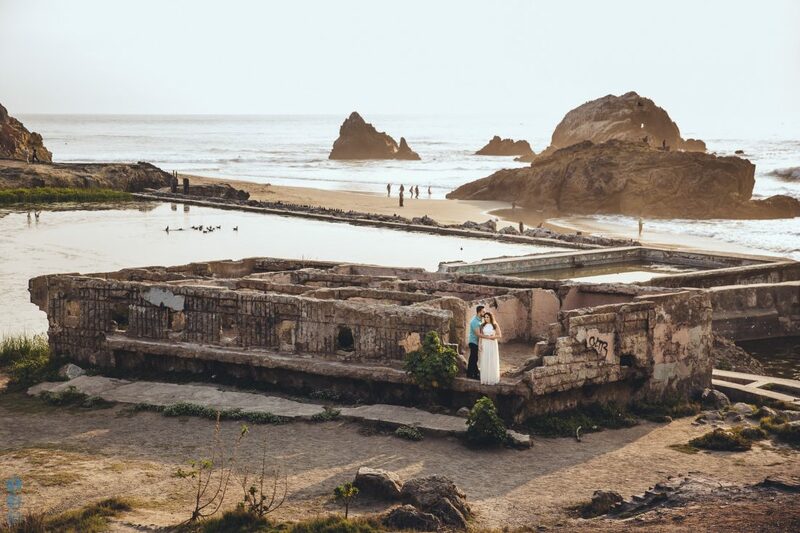 The sutro baths that once stood there (destroyed by a fire in 1966) are now monumental ruins perfect for a gorgeous engagement session. 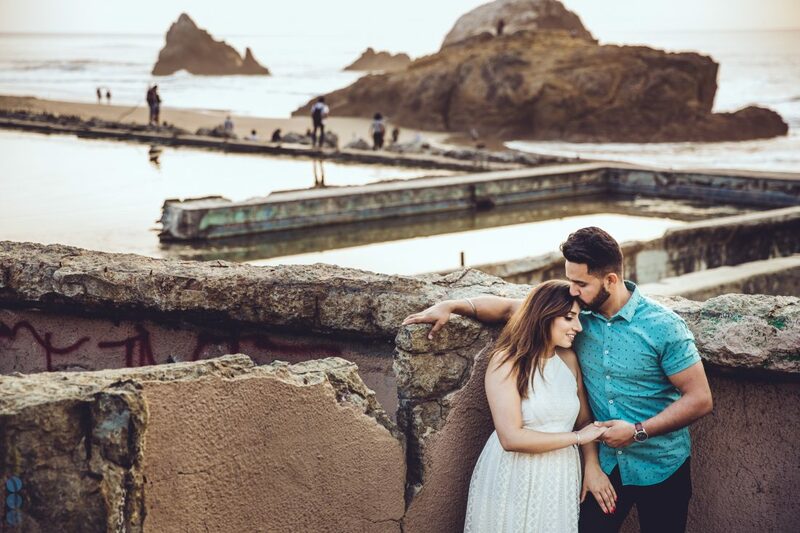 Raj & Simran have never been to the Lands End area and were very excited to pose in this beautiful San Francisco photography spot. 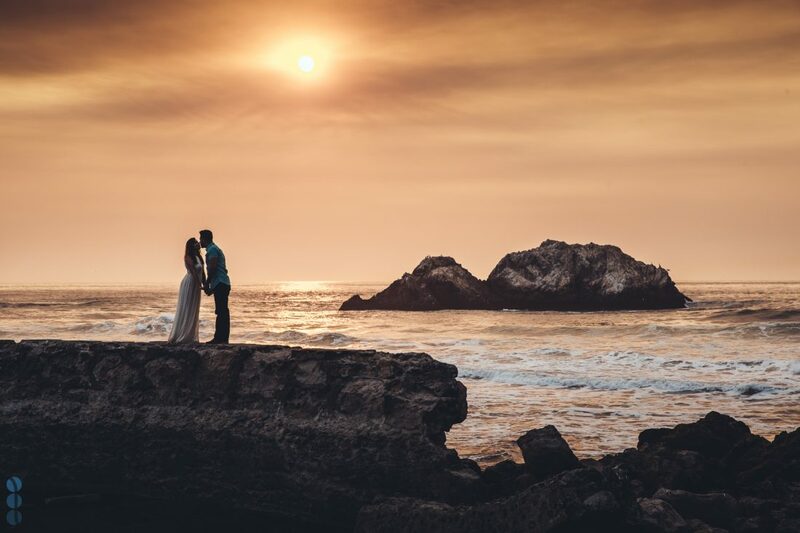 Their Lands End engagement session lasted until the sun went down and we definitely used the beautiful San Francisco sunset skies to our advantage. 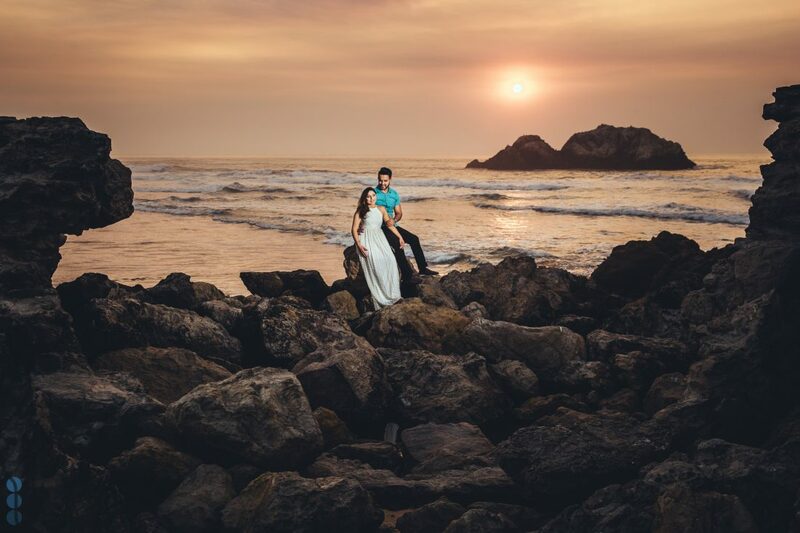 I took out my Canon off-camera flash and created some creative lighting portraits positioning the couple on the rocks of the beach. The sky was very moody that evening because of the Napa Valley fires that were unfortunately happening not too far away. 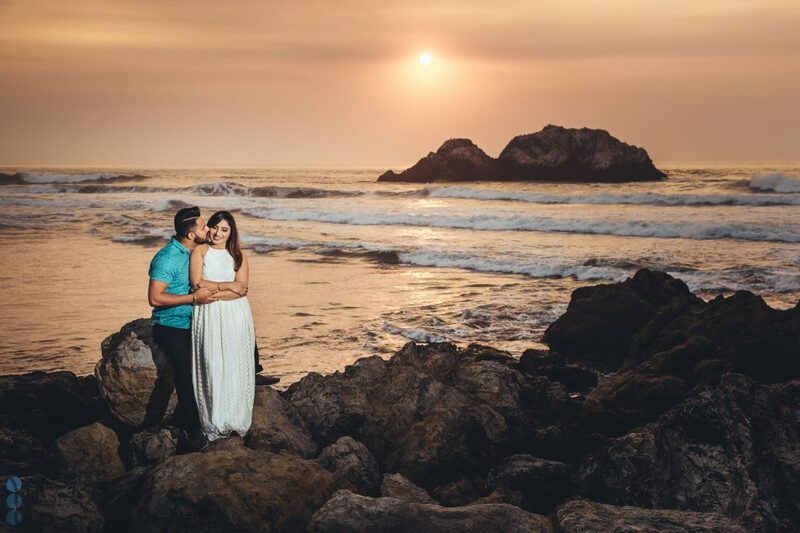 Usually, a foggy looking sunset doesn’t get photographers too excited, but I used this hazy look to my advantage to create a soft, romantic look with the flash making the couple stand out a little. 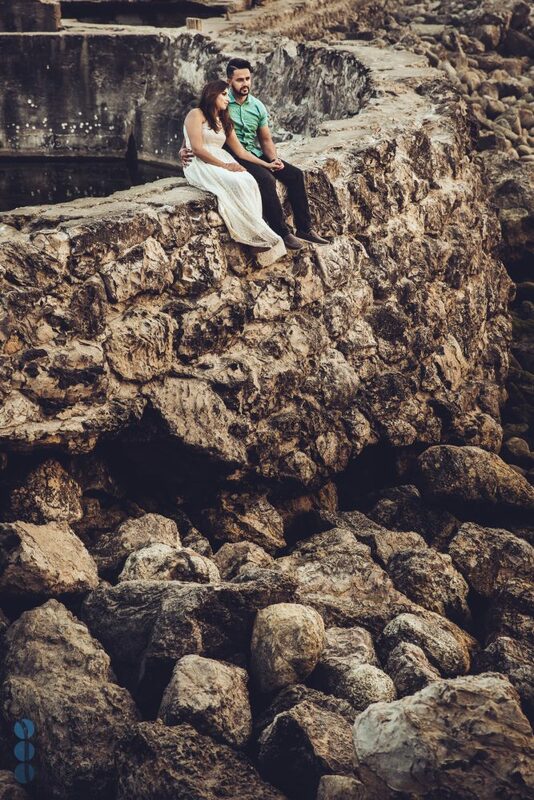 Here are the beautiful results from this Lands End engagement photo session. Raj & Simran were very natural at posing and there was definitely lots of romantic chemistry between them. 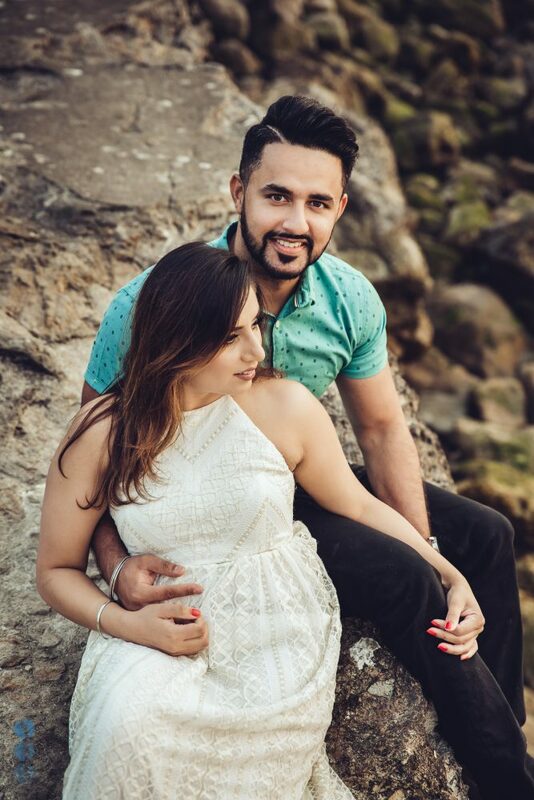 I am very excited to be their wedding photographer for their Indian wedding later this year and produce more stunning images of them. 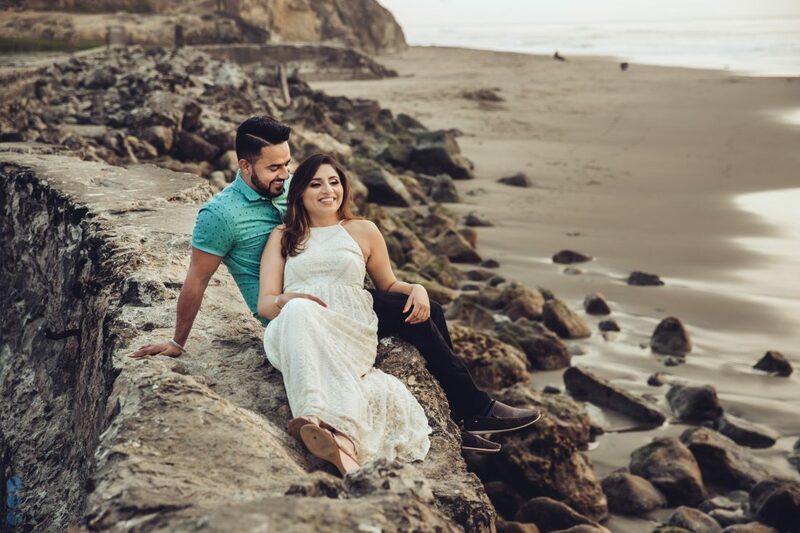 Enjoy this San Francisco Wedding Engagement Photography at Lands End with a beautiful Sikh Indian couple. Lovely photos and lovely place.